Proximity keys (also known as smart keys) are very convenient! You do not have to fumble with an arm-full of grocery bags or in sub-zero temperatures to get a key in a car door. You also do not have to find your keys in order to start your car. Simply have the key in your pocket or bag and you have the ability to start your car. What do you do if those keys are lost, quit working, or if you need more copies? Many people take precious time out of their day to drive to a dealer to resolve their problem. If you go to a dealer you will overpay, and you will be wasting a lot of your time. Instead let us come to you! We are a mobile service so we can meet you at work, at a store, at home, or wherever else you may be. Take advantage of our competitive pricing and our great customer service. We also include programming with the cost of the key. We really like to make it that simple and that easy. 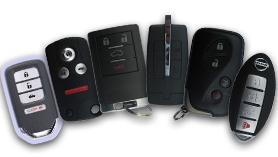 Our experienced technicians have a great amount of knowledge when it comes to proximity keys. 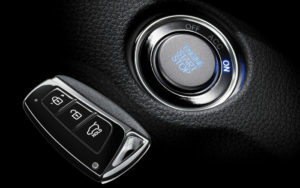 Most newer cars are using smart keys, and we like to stay ahead of the curve. Let us come solve your problems with any proximity key. Contact Broadway Lock and Key today! We are your local locksmith in the Denver Metro area!